Pierre is without dispute very near to the center of South Dakota. 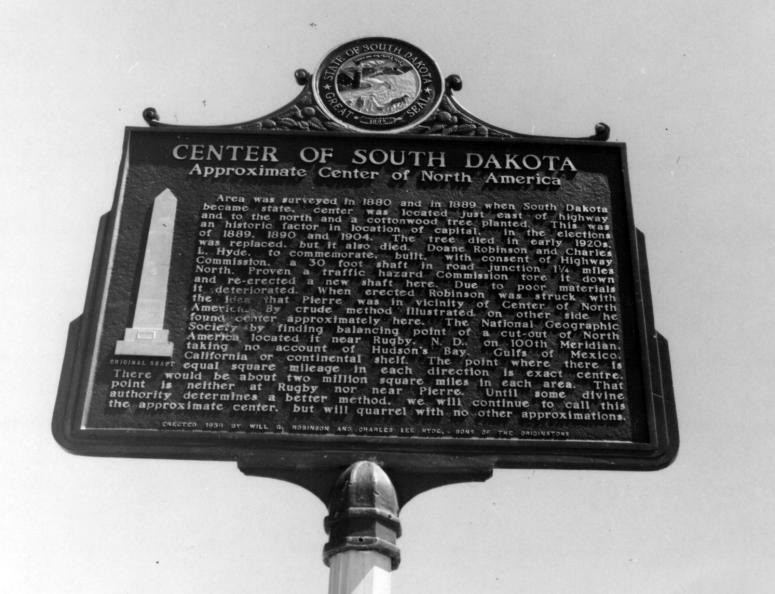 Around 1911, local citizens began promoting the city as also being at the approximate Geographical Center of North America. 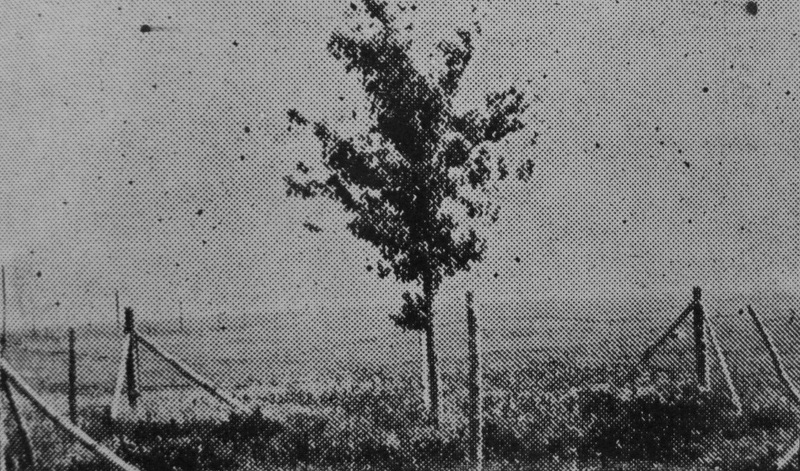 Local businessman Charles L. Hyde and historian Doane Robinson first planted a cottonwood tree on Hyde's property 5 miles north of Pierre. 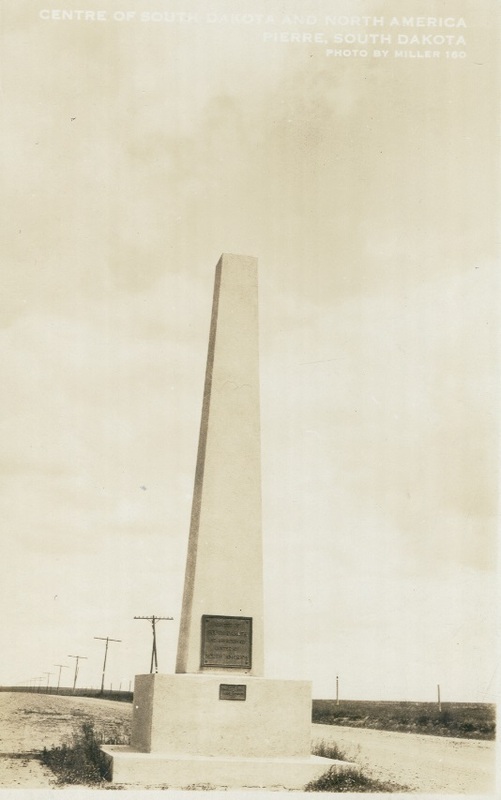 In 1923, with an agreement with the State Highway Department, they were successful in placing a concrete obelisk in the center of a nearby intersection. 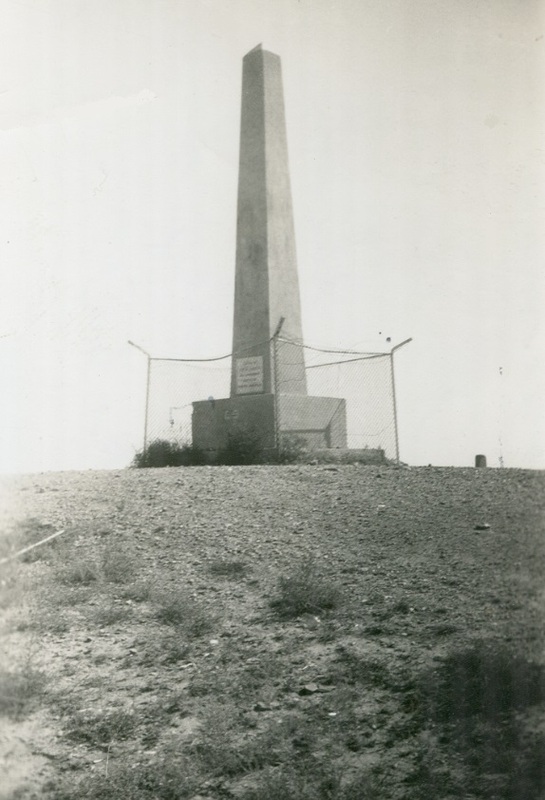 This monument soon proved to be a traffic hazard so a new monument was placed on the top of Snake Butte approximately 4 miles north of Pierre in 1928. 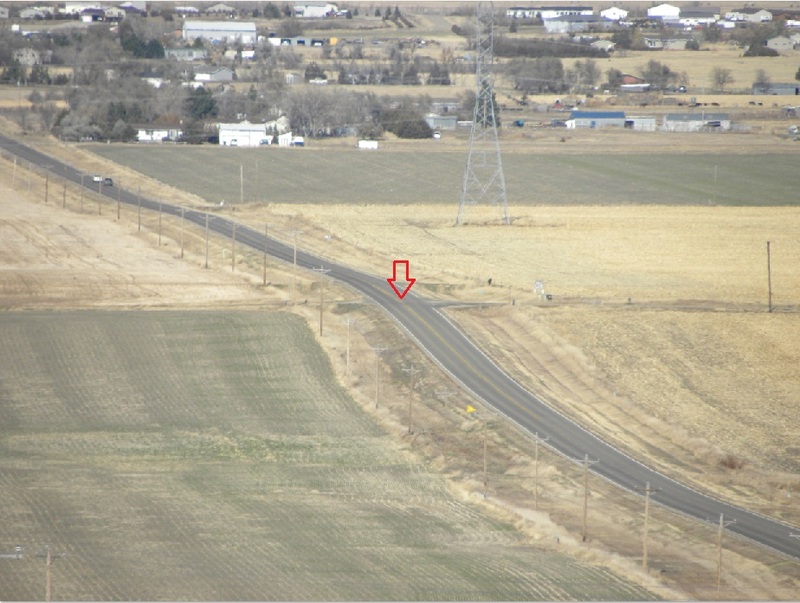 This second location is approximately one mile south of the original one that was placed in the intersection. 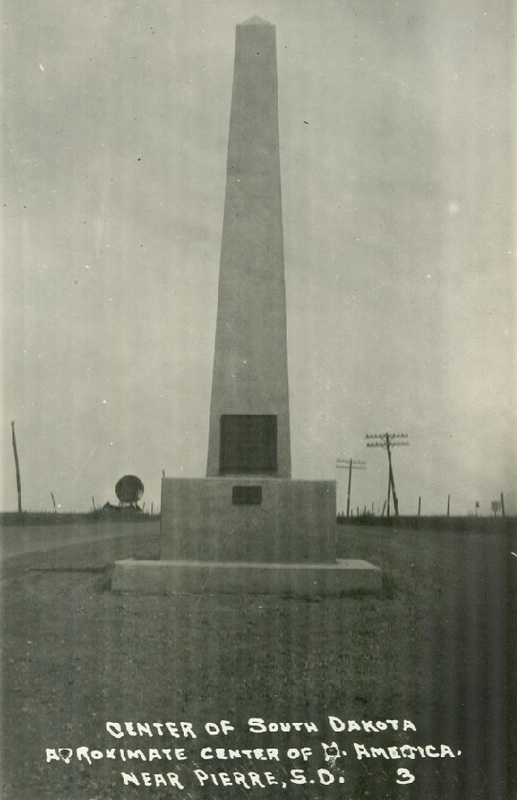 Around the same time that Pierre placed their second monument on the hilltop, the city of Rugby, North Dakota, also began promoting itself as being at the Geographical Center of North America. A long feud then began between the two cities. Most of the disagreements seemed to originate with those at Rugby who wanted to have sole title to the location. 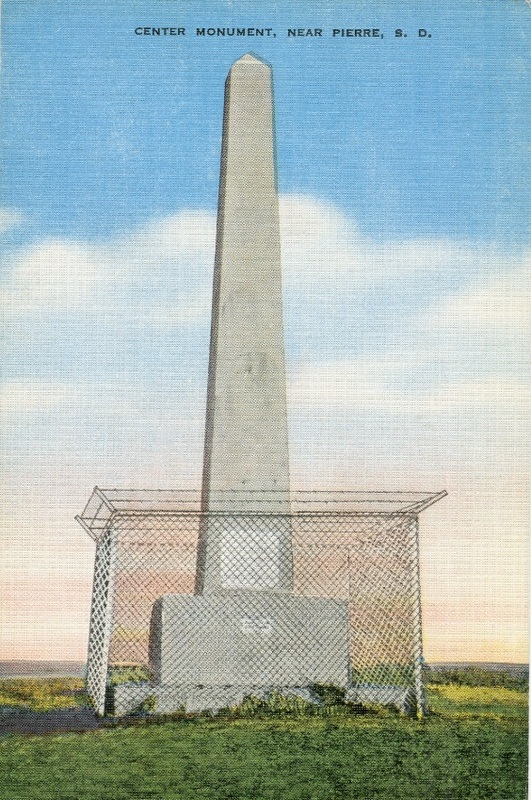 The monument at Pierre was repeatedly vandalized and was outright destroyed in 1957. 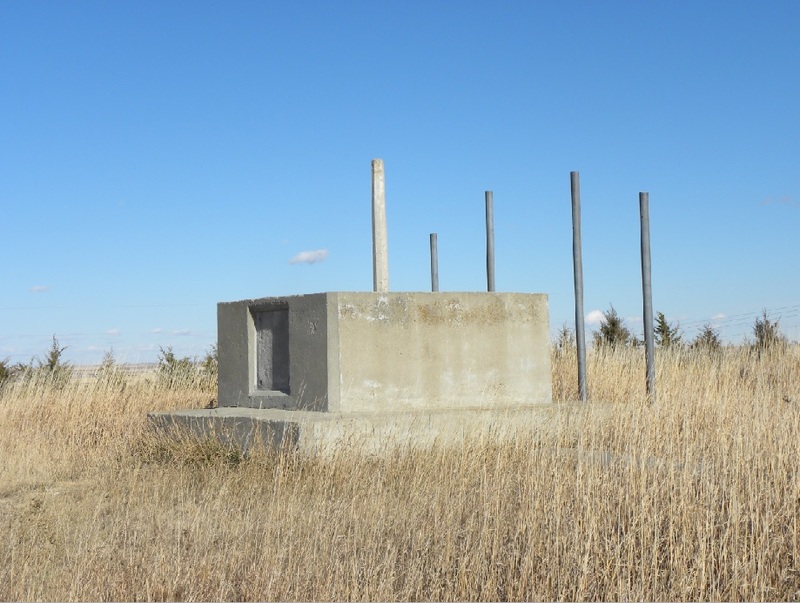 Efforts to place various other historical markers at the Pierre site were also stolen and destroyed well into the 1980's. 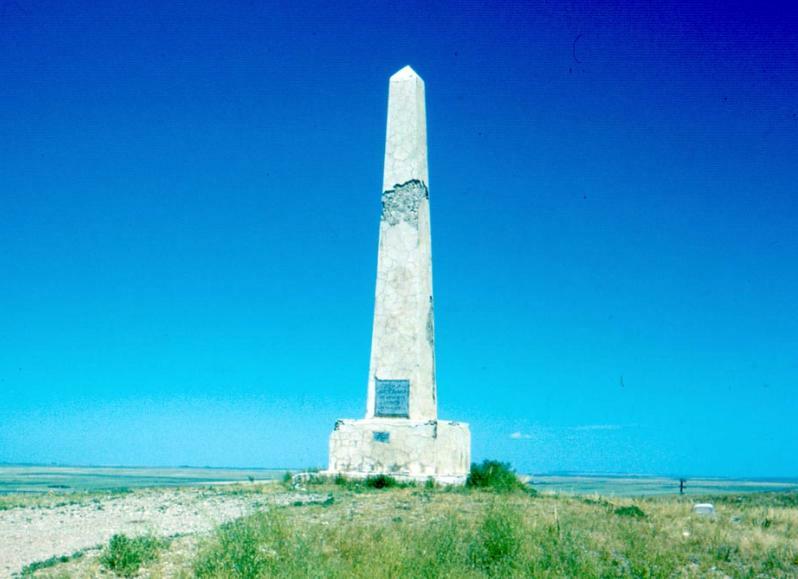 Suspicion was generally thought that the destruction was the work of someone from the Rugby area who did not like the idea of a having a competing monument even though Pierre claimed to only be the approximate geographical center. In 1965, the City of Rugby filed the trademark phrase "Geographical Center of North America" with the U. S. Patent & Trademark Office to support legal action against any other competitor. 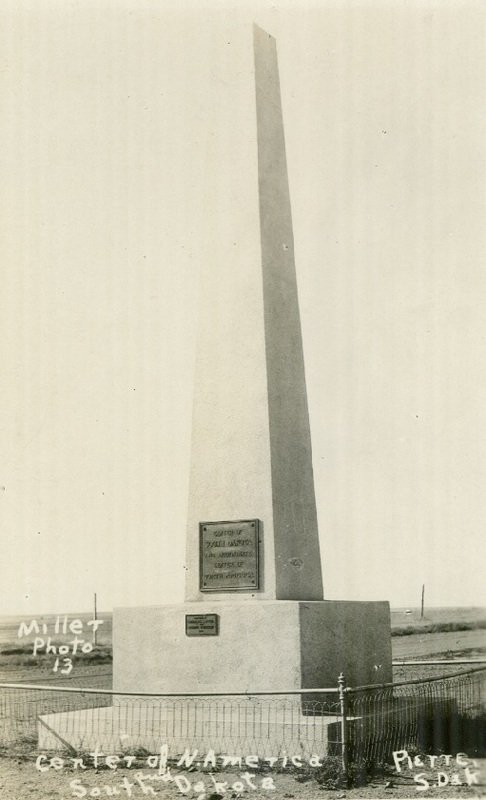 Today, only the concrete pedestal remains of the monument that was placed upon Snake Butte in 1928. The heavy two-sided cast aluminum sign that was placed on the concrete pedestal in the 1950's was taken, as well as a large bronze plaque that was inset into the face of the pedestal. It seemed that anything Pierre tried to place at the location was taken or destroyed, so local historical groups have all but given up on replacing anything. The Geographical Center of North America is one of the most controversial locations of all geographical center locations. The designation at Rugby was made by one person and by an unscientific method. The outline of North America and what should or should not be included when defining the northern regions of the continent can be left to many interpretations. 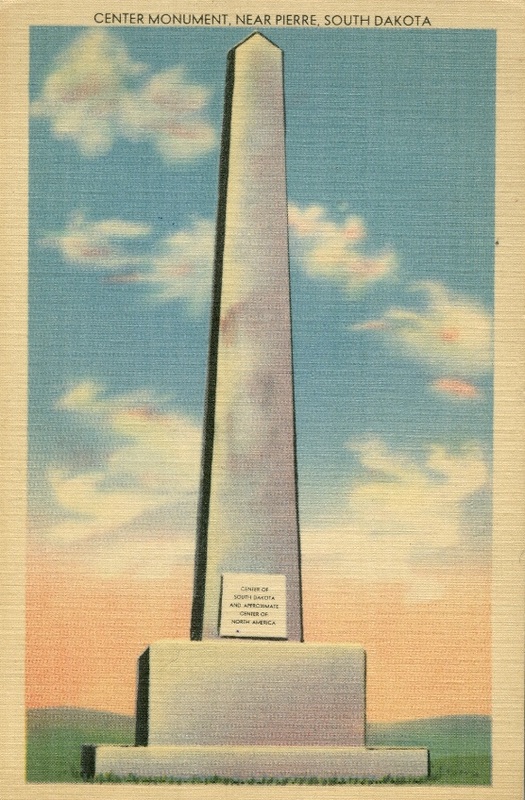 Therefore, the monument at Pierre, in reality had just as a legitimate claim as anywhere else. 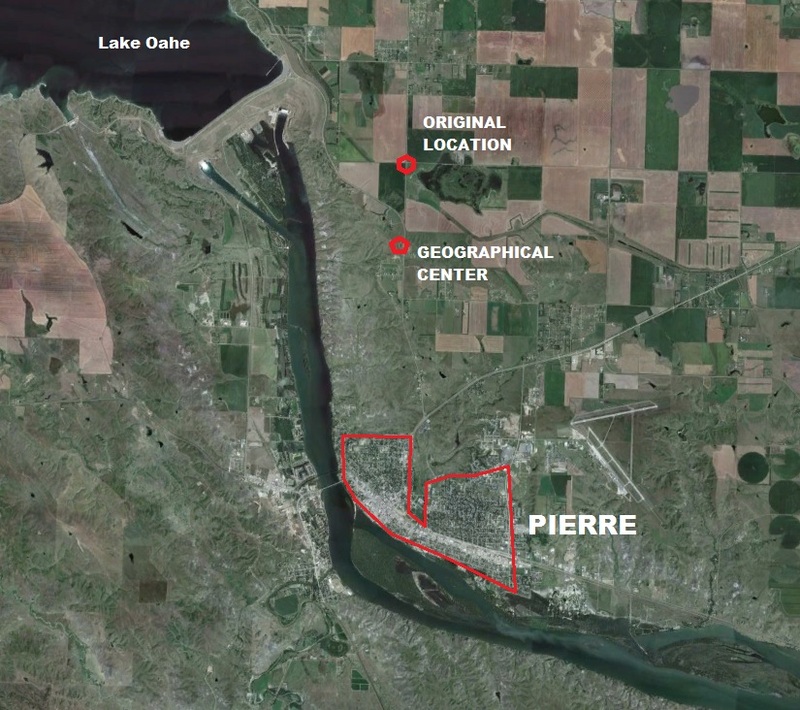 Aerial view of the Geographical Center location in relationship to the City of Pierre. 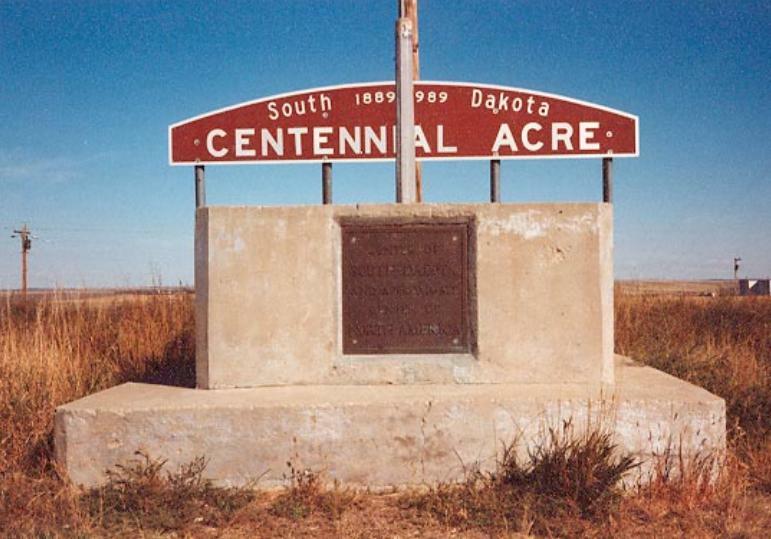 The last remains of the "Geographical Center" monument north of Pierre. 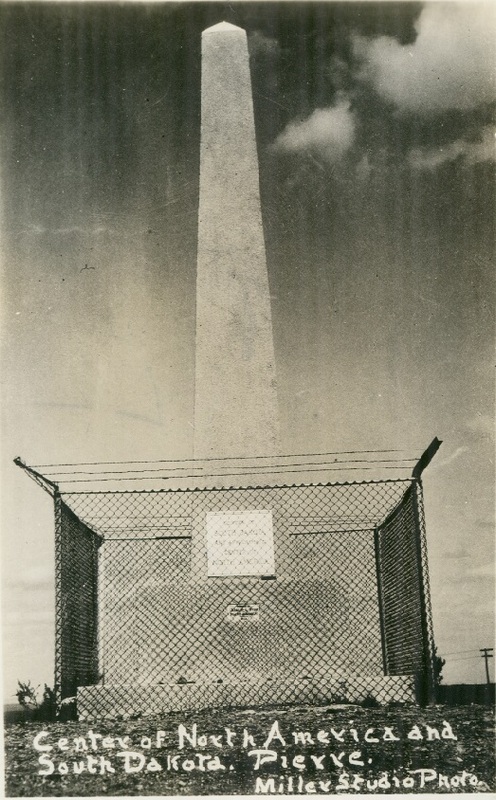 The iron posts once had a sign attached to them. 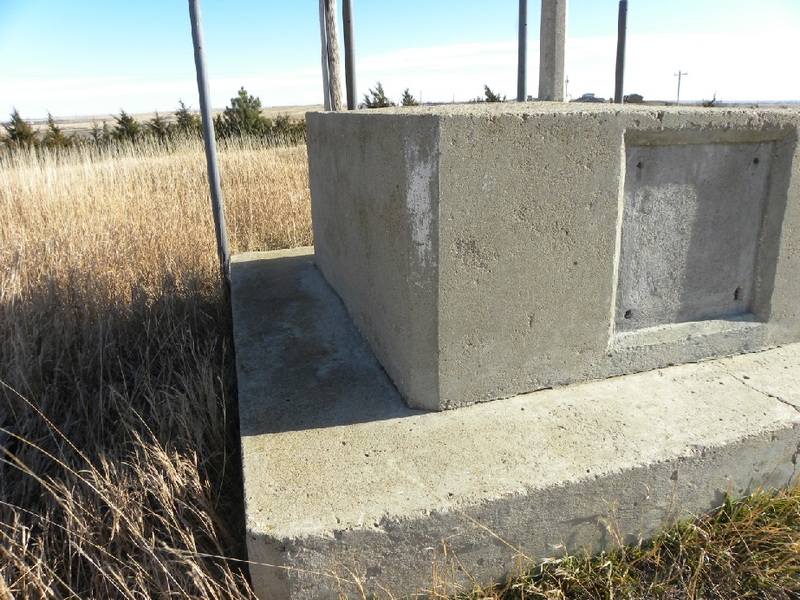 Even the bronze plaque was stolen from the monument base. 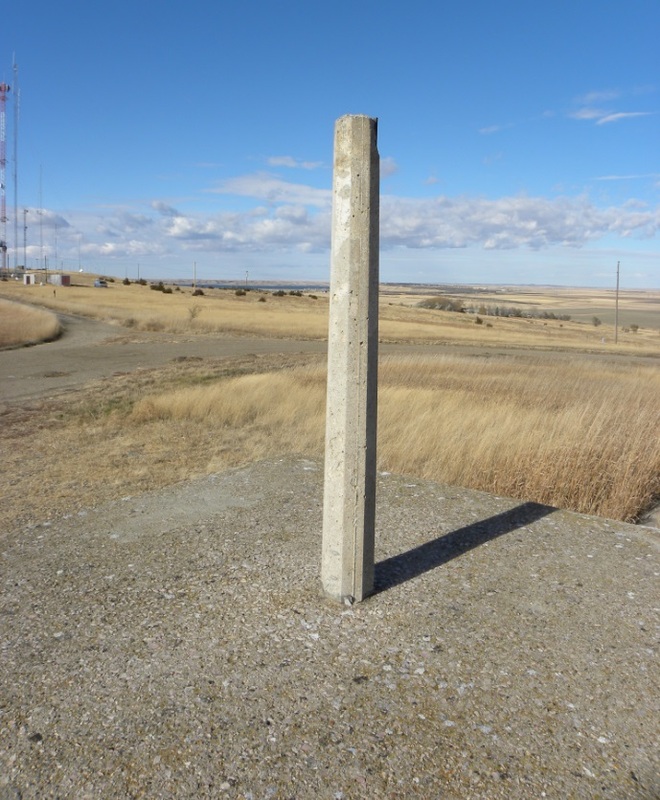 This post once had a cast aluminum sign attached to it that replaced the concrete obelisk. (See Photo Below). Large cast aluminum sign that was once attached to the post in the center of the concrete pedestal and later stolen. Sign that was once attached to the four steel poles and stolen. 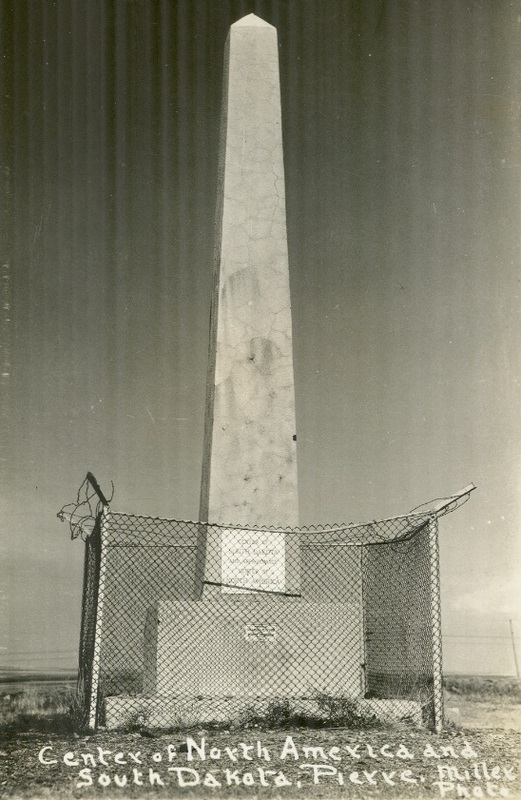 Monument in its final state showing deterioration. Probably 1957. 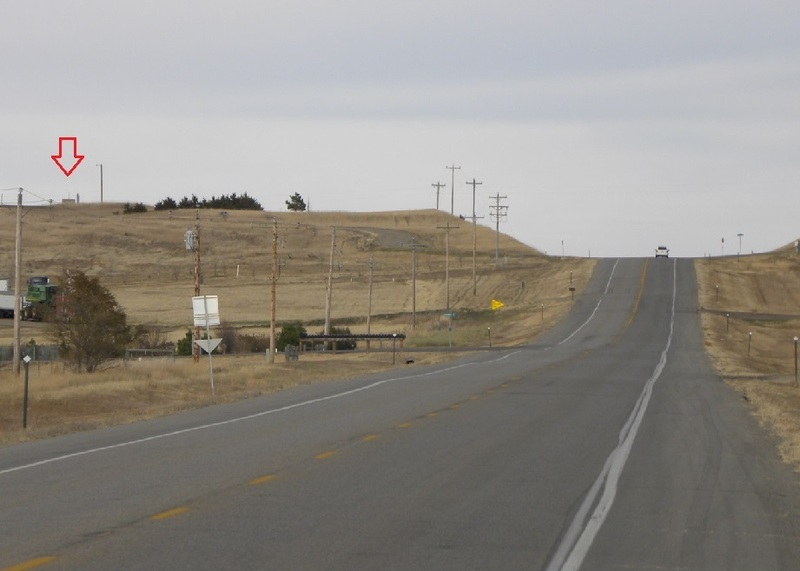 The location of the original monument in the road intersection north of Snake Butte. 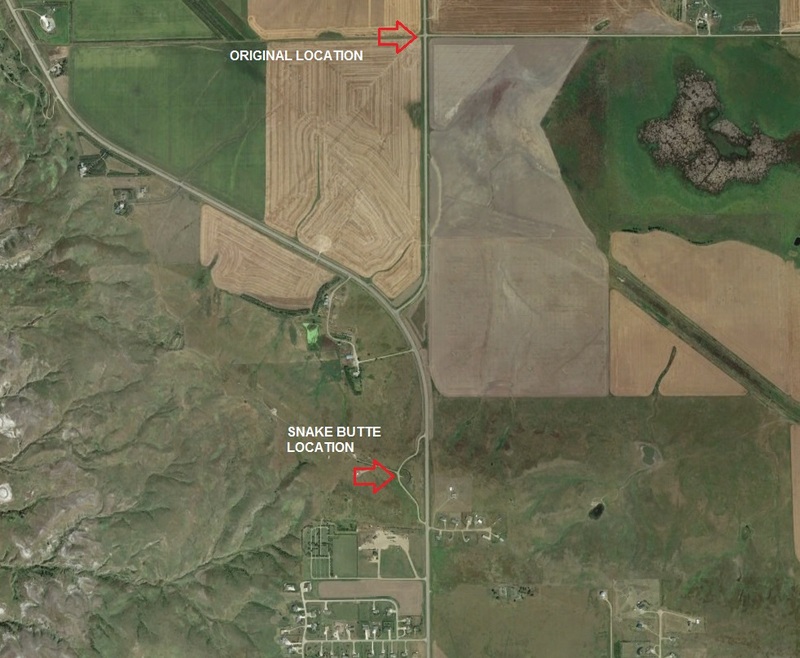 The location of the monument on Snake Butte. Looking north while approaching from the south. 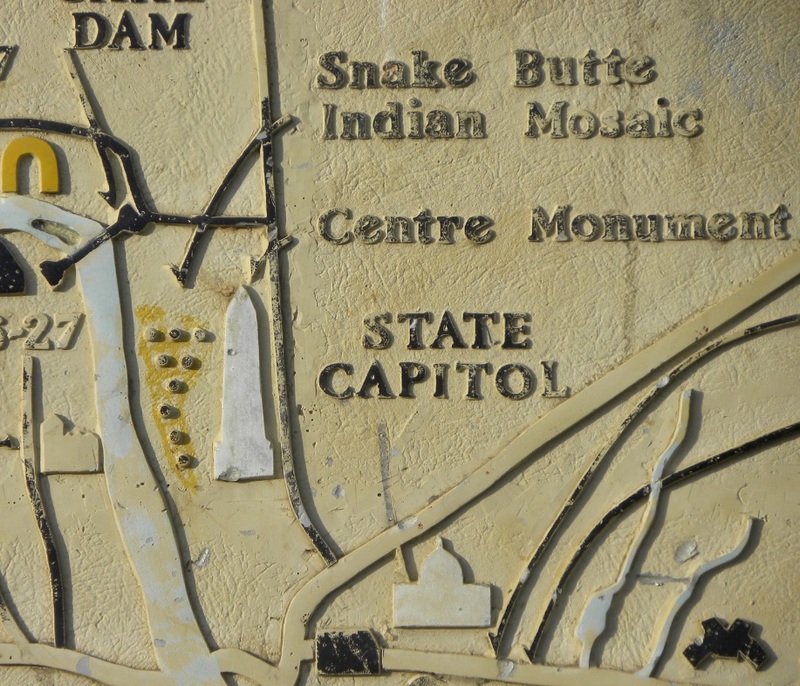 Aerial view showing the locations of both monuments once located north of Pierre. The cottonwood tree that was planted to mark the "Geographical Center" of North America in the 1910's. 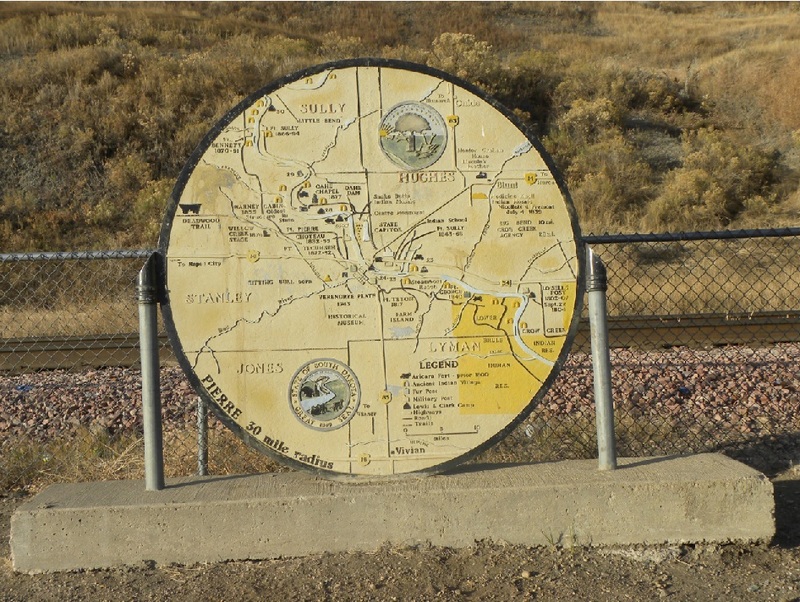 A roadside sign in Fort Pierre showing various historical sites in the area. 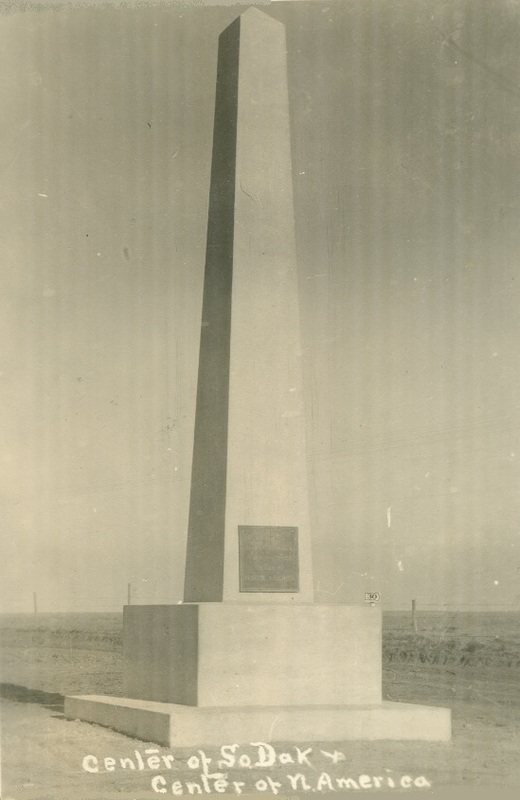 The "Centre Monument" as shown on the historical sign. 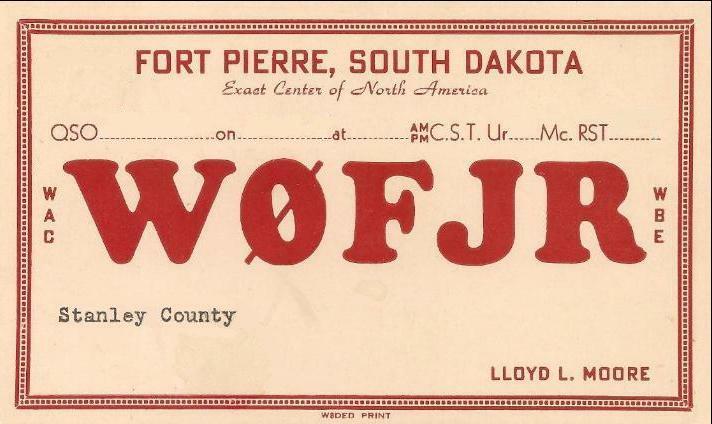 Short-wave radio call card stating "Exact Center of North America".